Before you spend your hard-earned money on a new machine, get clear on the myths and facts about gas-powered and battery-driven lawn mowers. The seemingly endless cycle of summer yard maintenance often motivates homeowners to think about buying a new lawn mower, one that will make the job faster and easier, and maybe even be greener for the planet. A battery-powered mower would seem to tick all of those boxes, and with today’s growing selection of battery mowers, it only makes sense that consumers would be curious about them. When battery-powered mowers first hit the market, they made quite a splash—no cords, no gas, no sweat! Yet, even as battery options have taken up some share of the market in recent seasons, gas-powered mowers are still reliable, go-to machines—and many models have seen key upgrades that make mowing easier. Why is that so? Well, battery run time remains a big concern: When you get a maximum of between 30 and 60 minutes on one charge, you run the risk of having to stop work in the middle of a mow—and it takes about an hour for the battery to recharge. Also, gas-powered mowers have undergone significant technological improvements in just the past five years that have made them even more attractive. Common notions about “old-fashioned” gas mowers and “newfangled” battery mowers no longer apply. So, to help you pick the best mower for your lawn, let’s separate truth from hype right here. MYTH #1: If healthy grass is your goal, it doesn’t matter what kind of mower you use. It’s a rule of (green) thumb: The better the cut, the healthier the grass. The latest gas-powered mowers offer improved cut quality, thanks in part to the blade design. In an effort to maximize battery life, though, some battery-powered models alter the blades’ length and lift, which can impact the cut quality. 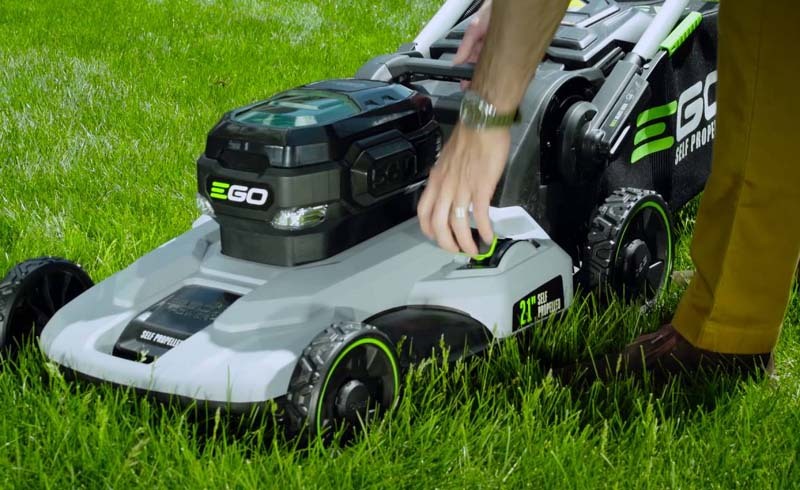 Another consideration: Gas mowers lose little to no power when slicing through long, thick grass or damp grass, whereas cutting tougher turf on a battery-powered mower can cause performance (not to mention battery run time) to suffer. MYTH #2: Battery mowers cost more because they’re better machines. On average, battery mowers cost about $50 more than their gas-powered counterparts. Then, of course, for a more accurate cost comparison, you need to factor in machine features, fuel costs for gas mowers, and replacement battery prices for battery-powered mowers. A self-propelled gas mower, for example, can retail as low as $269 compared to a self-propelled battery mower at $499. But the calculations can’t stop there—you also need to account for each mower’s life expectancy. Gas mowers are more durable; they simply last longer. In terms of engine life, a gas mower will run for 10 years or more, while a battery-powered mower will need to be replaced after about five years, on average. What’s more, as the battery ages, its run time degrades up to 6 percent a year (or sometimes even more, depending on the size of the battery, yard size, average annual use, yard conditions, and storage). MYTH #3: Gas-powered mowers are a hassle to maintain. It used to be the case that those of us who wanted the power and cut quality of a gas mower had to put up with messy, time-consuming oil changes. MYTH #4: Battery mowers are easier to start and stow. Homeowners may be attracted to a battery mower for its fast starts and easy storage. Battery mowers are activated by inserting a key and pushing a button or pulling a lever, and many models are also collapsible, so they don’t take up much room. 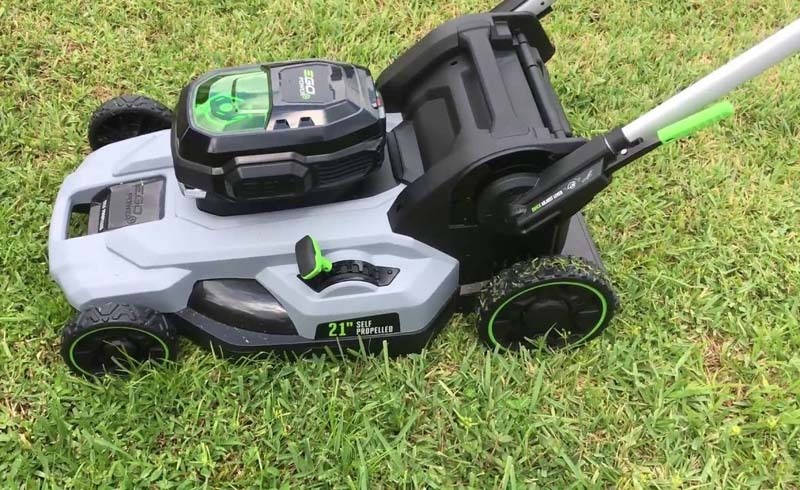 But before you rush off and buy a battery-powered mower, know that for newer gas mowers, clunky starts and bulky storage have become things of the past. For example, there’s no need to yank a pull cord on gas mowers equipped with a push-button start. And some gas mowers offer a foldaway feature that lets you store the machine upright in small spaces, without risk of fuel or oil leaks. You literally mow and stow. MYTH #5: If you care about the environment, you’ll go for a battery mower. It’s true that battery mowers have zero emissions, but remember this: Recharging batteries uses electricity, which may come from coal-powered plants. Additionally, there’s the dilemma of having to dispose of the battery when it dies. Ecologically minded consumers should also be aware that today’s gas-powered mowers are much cleaner in terms of emissions than models sold just 10 years ago. In fact, in accordance with emissions standards, they’re 35 to 75 percent cleaner, depending on the model and age of the machine. And because noise pollution is also an issue, know that gas engines have come a long way in that department, too. Mowers powered by Briggs & Stratton engines with Quiet Power Technology, for instance, are up to 50 percent quieter than standard gas models. It’s clearer than ever to me why gas-powered mowers have dominated the market for so long. To learn more about the latest innovations available on today’s high-tech, high-performance gas lawn mowers.